A lawmaker from the Second District of Valenzuela City in Metro Manila has proposed a bill that will ultimately give a tax-exemption privilege to eight-division boxing champion Manny Pacquiao. Initiated and authored by Valenzuela City Cong. Magtanggol Gunigundo, the bill is meant to free Cong. Pacquiao from paying his tax liabilities to the Bureau of Internal Revenue (BIR). This issue has cropped up after BIR Commissioner Kim Henares slapped Pacquiao, who beat American-Mexican Brandon Rios in Macau for the WBO Welterweight Belt last Nov. 23, 2013, with a P2.2 billion in tax liabilities after he failed to settle them for the period covering tax years 2008 and 2009. Filipinos who have already paid their taxes abroad are no longer required to pay their taxes in the Philippines. Rank Promotions. "As far as I'm concerned, those documents are not official," Henares said in media interviews. In an ANC broadcast interview on Thursday night in Manila, Gunigundo had reasoned out that Pacquiao should be accorded the courtesy to be exempted from paying his multi-billion peso tax liabilities because the boxing champion brought so much honor to the Philippines. The congressman even slighted the BIR for its failure to collect some P150 million from a political dynasty clan for more than three years now. But the BIR seemed bent on collecting the tax liabilities of Pacquiao in so short span of time, which, according to Gunigundo, is unfair to the lawmaker-boxer from Sarangani Province. 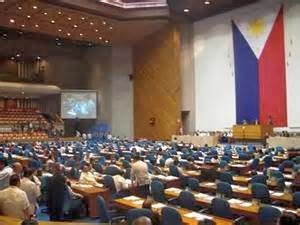 In the same ANC interview, Henares argued that if Congress is set to grant Pacquiao the exemption from tax liabilities because of his exemplary accomplishments as a boxer, it must also grant tax exemptions to newly crowned Miss World Megan Young, and also the soldiers who risk their lives in the forefront of battle without any renumerations but their salaries. Quibin has shared the view of Henares that granting Pacquiao the necessary tax exemption privilege will become a bad precedent for others to question such bill. As far as I'm concerned, I could say that if Congress will unanimously enact this bill into law, there is no reason why bemedalled soldiers and policemen can't be accorded the same tax-exemption privilege granted to Pacquiao? This also brings home a point that those Filipino beauty queens who brought honor to the country by winning international beauty pageants,can't be given the same tax-exemption privilege? If Congress is realy serious in enacting this bill, the lawmakers must ensure that the law applies, not only to Pacquiao, but to other outstanding Filipinos, too. At this writing, the Court of Tax Appeals has issued a gag order for Pacquiao and BIR commissioner Kim Henares not to discuss about the merits of the case with the media as they will be held in contempt should they violate the court order.